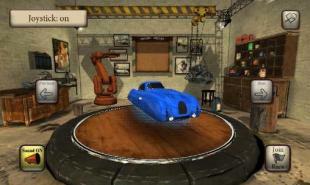 Jazz-punk racing - control fantastic flying cars and take part in races on a variety of interesting tracks. 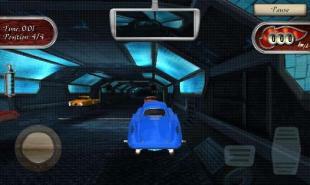 This game for Android will take you to the unusual world where futuristic technology is combined with retro 50s design. Get behind the wheel of a powerful flying car and drive it across towns, country roads, long tunnels, deserts, etc. Win races and get the rewards. Buy new cars, each with unique characteristics and design. Warp Dash - an excellent space race with obstacles. At each start of the game, the level dynamically changes and won't allow you to start missing. 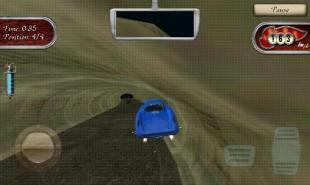 There's no plot in the game, race is infinite. Simply collect triangles, fly where you want. Levels don't limit you therefore you can safely choose the direction.